Principles of Coaching emphasizes the value of a coaching philosophy and how to achieve the three major objectives of coaching. Principles of Behavior discusses how to communicate and motivate players, as well as manage problem behaviors among athletes, using a positive discipline approach. Principles of Teaching introduces the games approach to coaching and details how to incorporate this new approach into teaching technical and tactical skills. Principles of Physical Training includes five new chapters on training basics, training for energy fitness, training for muscular fitness, nutrition, and battling drugs. Principles of Management covers the interpersonal and administrative basics required for building a solid coaching foundation that emphasizes team, relationship, and risk management. 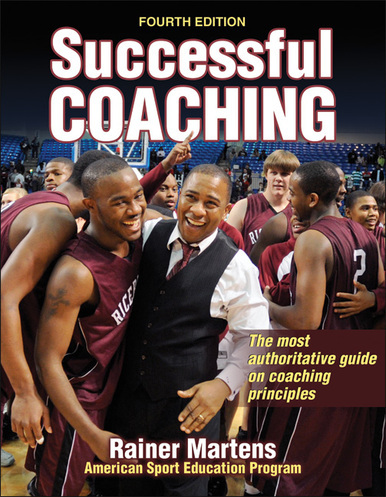 With more than 500,000 copies sold since the release of the first edition, Successful Coaching is the best-selling general coaching book ever published. Produced by the American Sport Education Program (ASEP) and written by ASEP founder Rainer Martens, Successful Coaching serves as the text for ASEP’s Coaching Principles course. This course is used by many colleges and universities and endorsed by the National Federation of State High School Associations (NFHS) and numerous other sport organizations as the preferred professional development program for their coaches. Each year, more than 25,000 coaches take this course to further their professional development and meet coaching certification requirements.